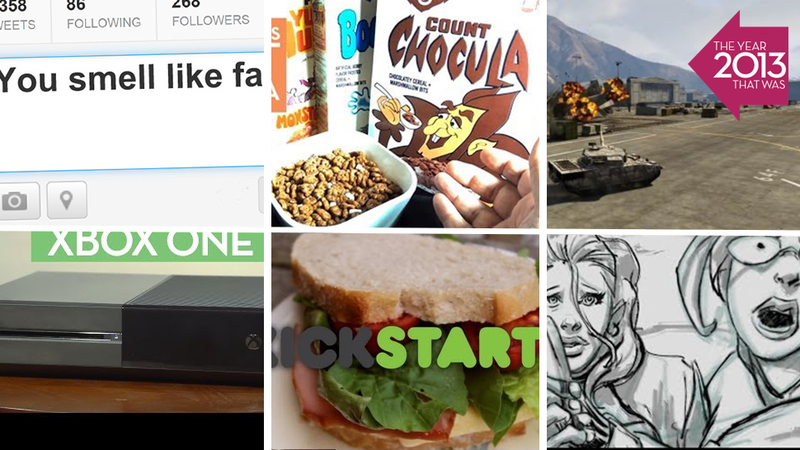 Twenty thirteen has been an interesting year for Kotaku. In between our usual efforts of reporting on news, reviewing games and generally trying to provide you with entertaining features, essays, images and everything else we could put onto a screen, we've also set out to have more of a video presence on the site. We filled out our official YouTube page. We hired two new bodies, Leo and Steve, to help Chris out with our new plans, from playing games to weighing in on some hot button issues. We've let Fahey eat more food in front of a camera for you. And we've had some fun. There's a Breaking Bad Version Of Cookie Clicker. Now I'm Dead. Xbox One Or PS4? Top Comic Artists Chime In. It's Not Counter-Strike. Actually, It's Better. This Game Isn't About Violence Or Guns. Just People.